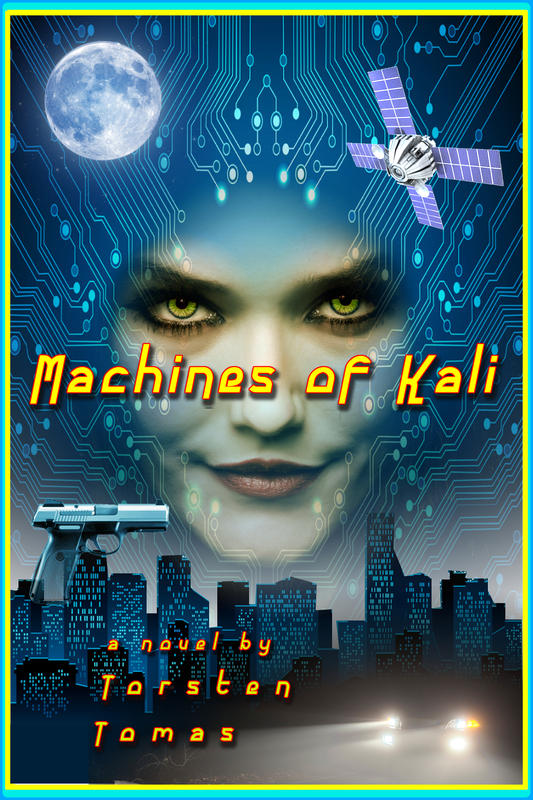 From the mean streets of Chicago to inside the Oval Office, from Islamabad to the edge of space, Machines Of Kali takes the reader on an action packed adventure about a maniacal terrorist plotting to destroy the planet. Torsten Tomas has crafted an excellent thriller peopled with characters who are as real as they are diverse: Dr. Robin Anderson, architect of the super-weapon Archer - Detective Carlos Rios, one of Chicago's finest - Pablo Garcia, a nerdy 15 year old in love with Daniella, a girl he can never hope to have and Zahir Marata, also known as Jaadu Gar, a terrorist gone off the reservation who believes salvation is found only in serving the death goddess Kali. All of them and more are woven into a tale of action, intrigue and suspense that will keep you on the edge of your seat until the final tumultuous climax of this first class thriller. Machines of Kali is definitely worth looking at, and for more reasons than just the plot, which is already intriguing and branches out in interesting ways, leading you on an epic journey you will not likely forget any time soon. A great weapon called Archer has been created and it has the power to target individuals and wipe them from existence. With this weapon, there will be no more need to bomb residential areas and cities in order to knock one guy. With this weapon, it will be possible to take any one by surprise and roll them when they are enjoying a nice picnic, waiting at a bus stop, basically doing anything. There will be no warning. The weapon is deadly accurate. So, no more civilian casualties, sounds good right? Not when the weapon gets into the wrong hands (If there were ever "right hands" to begin with) and random killings start popping around Chicago. Anyway, I refuse to give away any of the story. While the premise and plot of the story are already pretty cool, there are several things about Machines of Kali that I would like to mention. Even if you know nothing about bombs, weapons, or technology, you will understand perfectly whatever is going on. Torsten Tomas is absolutely amazing at putting events into terms anybody can understand immediately without sacrificing accurate semantics. It's like watching a movie, but in book form. And better. Also, you will understand the atmosphere of every setting in the book, and Torsten Tomas does not take ten pages to accomplish this. In just a few sentences, we understand what these places are like. In just a few sentences, we understand these characters. Every word that is said either elaborates on the plot, or builds the characters for our view. There are no ten page desert descriptions. Thank god. When I read Machines of Kali, I got a distinct Kurt Vonnegut feel. Vonnegut is a genius so I enjoyed the tone and pacing of this novel. The author's voice is refreshing and you can tell he understands the places and events in the novel. A lot of thought was put into this work and the characters make everything happen without being forced. I was never asking "What the heck did he do that for?" because the characters are understood and their actions are consistent with who they are. Anyway, this feels like Kurt Vonnegut but without the excessive (and endearing) fragment sentences, haha. I think I've found my new favorite writer. There are so many things to say about Torsten Tomas's "Machines of Kali," that it's hard to know where to start. 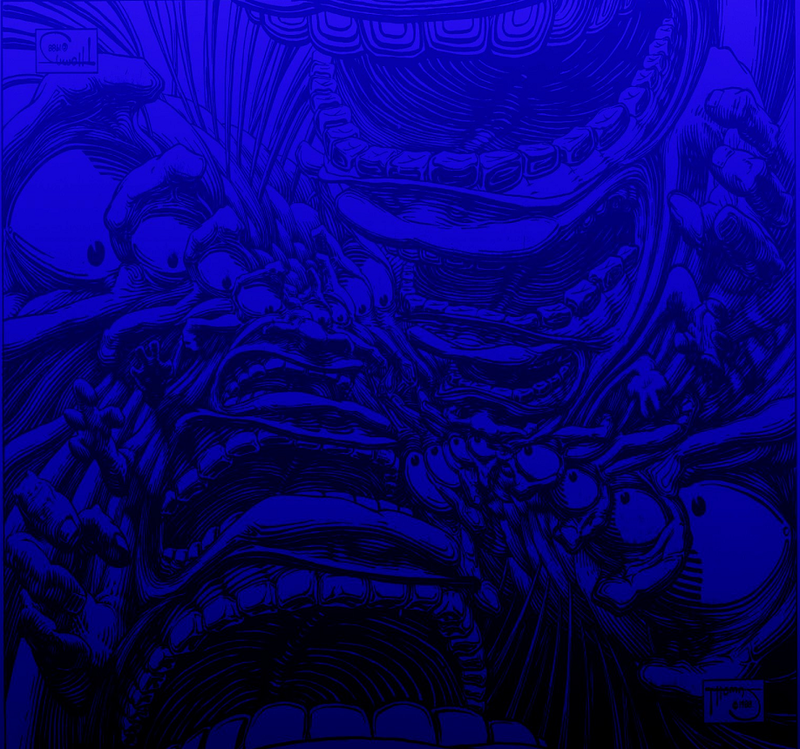 It's complex and intense, both hyper-real and startlingly original. To begin, I have a simple criterion for new writers: are they doing anything that I haven't read anywhere else? Mr. Tomas is. This "cross-genre" novel really does combine different genres. Like the blurb promises, "a detective mystery inside a techno-thriller wrapped inside a psychodrama," Mr. Tomas's debut novel is a polyglot of different elements - suspense, action, hard-boiled mystery, science fiction, and science fact, all woven together in a tightly driven plot. The characters were incredibly real; their personal journeys had a "literary" element that I found wholly absorbing. Unlike other thrillers that jerk you around from character to character for a page or two at a time, "Machines" let you spend a long time with each before you went to the next. Through the course of the story, as they interacted in a week of real-time, the hero and the heroine, the villain and the stooge, all found their way to different places - some for the better, and some, of course, for the much, much worse. But it was never forced. The dialogue was so well-written, the reactions so believable, that each exchange came off the page like a screenplay. Many times I wanted to scream at the characters, "Don't do that! That's not how you're supposed to act!" Then I realized that was the author's intention, to inject the reality of their questionable decision-making into the surreal circumstances of their situation. The pacing was sublime. Remember Clive Barker's stories? They were astonishing, the way they would begin with one fantastic event and become more and more appalling with each page. Most writers wouldn't - or couldn't - do that. Mr. Tomas escalated the spectacle like Mr. Barker, pumping it up with each chapter until the final climactic pinnacle. Along the way, the characters were so intense, so much more interesting than you usually find in these kinds of stories. The square-jawed detective had a desperation rooted in his past, driving his every move. The beautiful scientist had a refreshingly modern life outside of her work, playing her piano in a local rock-n-roll band. There was even a high school kid at the middle of the mystery, with his own agenda. And did I mention there was a C.I.A. agent? And that the President of the United States got significant page time? Swimming through all of it, like a great white shark, was the villain, Zahir Marata. He was an evil and twisted update on the on the already evil and twisted Thuggee Cult of Old India. Most people have forgotten about the Thuggee, if they ever knew of them, but Mr. Tomas, with some history lessons and myth-telling, does a commendable job of bringing them into the modern era. As you may have guessed, there was a lot of stuff going on here. But even at an estimated 480 pages, "Machines of Kali" didn't seem long at all. Mr. Tomas's slavish dedication to tying together multiple storylines gripped my attention, and the constant plot twists and fast pacing propelled the story at breakneck speed to the very end.